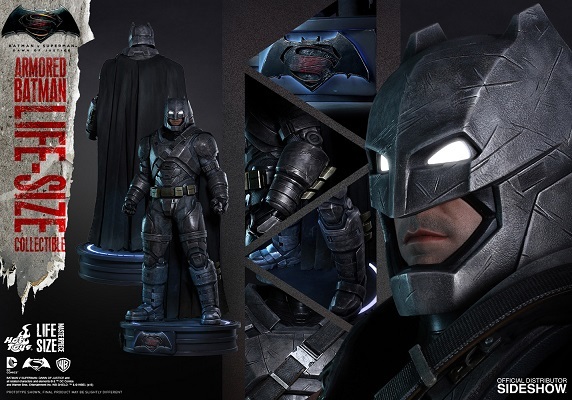 Batman V Superman: Dawn of Justice hits theaters on March 25 and what better way to celebrate than by buying a life-size Batman from Hot Toys/Sideshow Collectibles! Hot Toys have always been the true leader of the high-end collectible market and are very thrilled to take this market to a whole new level and officially announce the rights to offer their incredibly stunning life-size statues of iconic film characters to the dedicated collectors around the world! Fans have always admired the sophisticated craftsmanship, high quality and fine details of the 1/6th and 1/4th scale collectibles, and now collectors can enjoy all these great feats with their own personal life-size collectibles from Hot Toys’ new “Life-Size Masterpiece Series”! 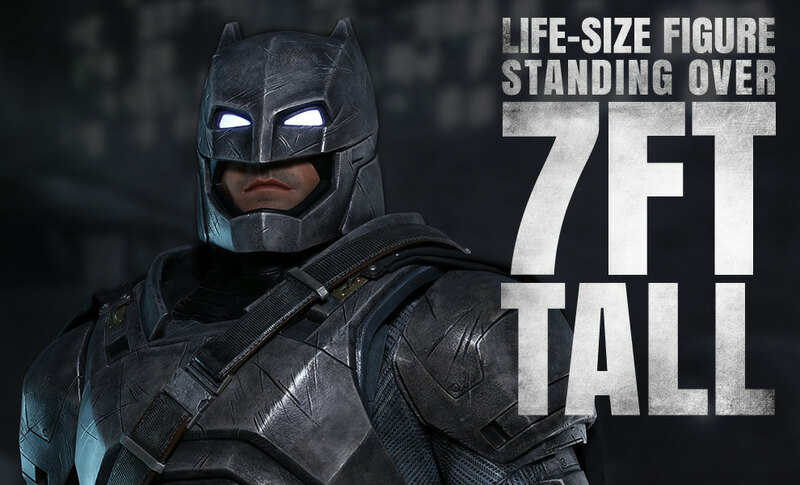 To kick-off the new series, Sideshow and Hot Toys are excited to officially present the Armored Batman Life-Size Collectible based on one of the biggest blockbusters of 2016 - Batman v Superman: Dawn of Justice! 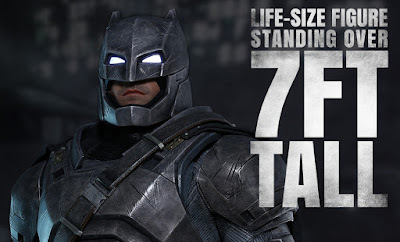 The movie-accurate and realistic life-size collectible will be available in select markets and stands approximately 1.95m/6.4ft tall (2.2m/7.2ft tall with base). It features an armored head with light-up eyes, an authentic and detailed likeness of Batman’s lower face, a meticulously sculpted replica of the Batsuit and armor, a fabric cape, and a circular base with light-up function and Batman v Superman: Dawn of Justice logo.